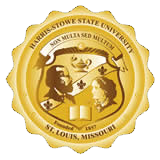 Harris-Stowe State University’s newest residence hall opened fall 2011 and includes 200 beds for freshmen students. All freshmen will enjoy suite-style facilities, which include a furnished living room, kitchenette, dining area and private bathrooms. Some of the suites are single-bed suites, with a private bedroom for each student, and others are double-bed suites in which two students share a bedroom. Scroll down to see the different suite layouts. Every floor includes a lounge, and studying is made easy with two quiet study rooms in each wing. Students need not worry about trudging through the snow or rain to enjoy a meal as the new residence hall houses a state-of-the-art campus dining facility, which includes a private meeting room. 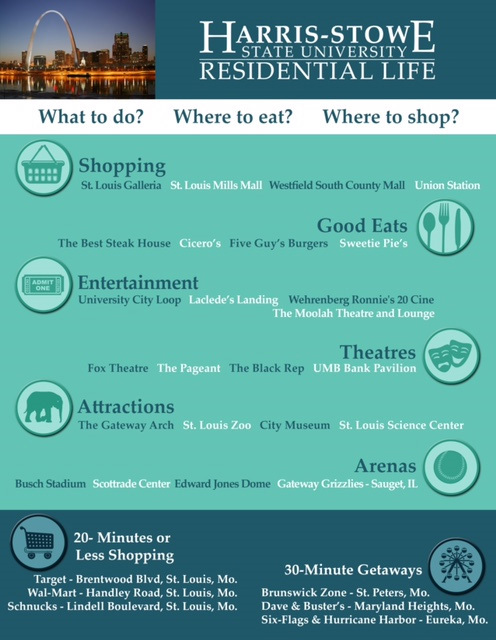 Other building amenities include a cardio fitness room, laundry facility, mailboxes, community kitchen, 24-hour vending and a public safety station, all located on the ground floor. The Dr. Henry Givens, Jr. Administration Building, which houses most classes, is only a two-minute walk from both residence halls. 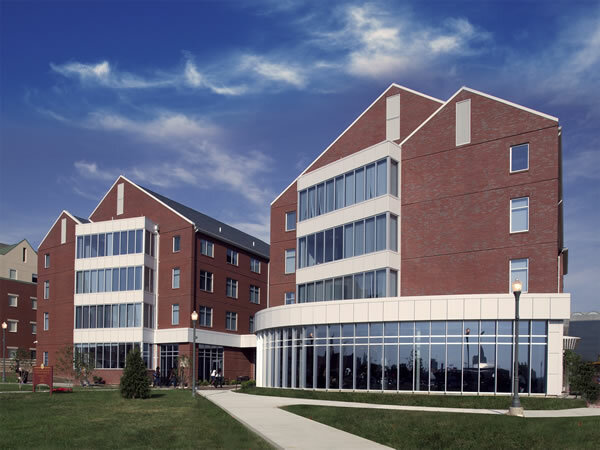 Attorney Freeman R. Bosley Residence Hall and Dining Facility. The Bosley Hall has a combination of single and double-bedroom suites. 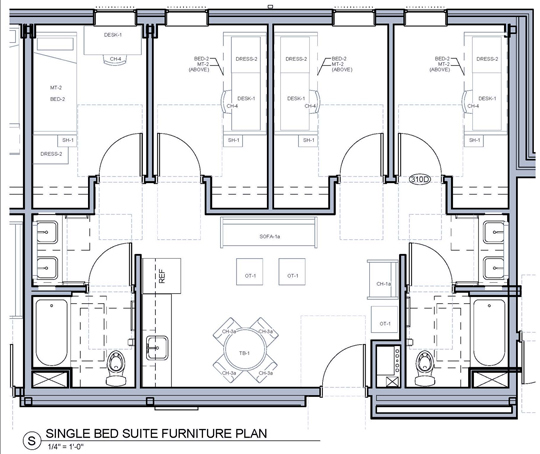 The above layout illustrates a single-bedroom suite in which each resident has a private bedroom. The Bosley Hall has a combination of single and double-bedroom suites. 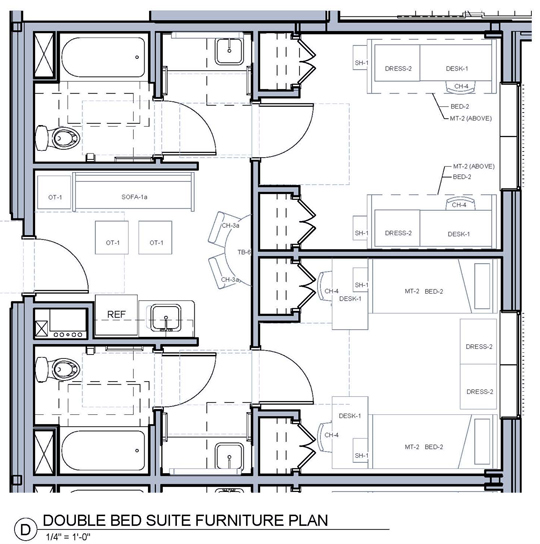 The above layout illustrates a double-bedroom suite in which two residents share a bedroom.